Windstar Corrosion Prompts Lawsuit - News article explaining the Ford Windstar axle class action lawsuit. Windstar owners may call 610-444-2001 to join. Ford Windstar Recall Information - Ford Windstar axle recall information including photos of what to look for. I got the Windstar [used] for my wife to take my handicapped sister in law to doctor appts, etc. We got a recall letter from FORD telling us to take it to a dealer to have it rear axle checked and did so.They did a so called check of the axle [did not put it on the lift] said it was FINE !!!!!! So I don't know to blame FORD or the DEALERSHIP. A fur weeks after we had it checked it broke in half. Luckily my wife my wife just turned off the interstate (DRIVING AT 60 MPH highway speed) and it broke in the parking lot. Thank God!!!! Now trying to get it fixed. Will keep you all informed how we make out. We recently purchased the van from another owner. During normal driving conditions on side road, rear axle just snapped. Needed to be replaced, along with tires and new alignment. Cost a bundle! I have been traveling back and forth with my two young grandchildren in my van with the rear axle breaking more and more every time I drive it. My mechanic came to my place of employment and kept my car keys so that I could not drive it, He said i had about one inch of metal holding the rear axle together and then the results could be HORRIBLE! So now I hear that FORD has recalled the vans but only in certain states. What the HELL!!!! We could all have been killed the many numerous times we have been going 65 mph down the highway, or my 17 year old daughter who drove my van the day before so she could go to the doctor. She could have been seriously hurt or killed if the axle broke on her. What are you going to do about this FORD? FORD-enough said. it took them almost 10 years for them to fix a problem they have known about. They are lucky they recalled the axle before people started getting hurt. The rear axle on my 2001 Ford Windstar broke today and I found this site. Also found this site http://www.insideline.com/ford/windstar/ford-recalls-1998-2003-windstar-over-rear-axle-cracking.html stating that Ford has issued a recall for this problem. Called Ford and sure enough it has been officially recalled. Not sure what happens for people who have already had this happen to them. I am writing you because yesterday on my way home from Ohio after attending my aun'ts funeral my rear axle on my 2001 Ford Windstar snapped in 2 going down the interstate @65 mph in the middle of heavy traffic in front of Adventure Land Theme Park in Des Moines Iowa. I had my two young children, my brother and his young son in the van as passengers. There was a horrendous loud sound like I can't explain and heavy black smoke pouring out all over from behind. Everything went in slow motion as we mirraculously landed on the shoulder of the Interstate 80. Trafffic seemed to just flow all around us like something was holding them back as we cut through 3 lanes of heavy traffic to the shoulder. After we came to a stop and saw that we were not hurt. We were so shaken, my brother started to have a panic attack and the kids were crying. My life flashed before my eyes. I truly thought this was the end of our lives. A whole family may have lost their lives due to this recall not being sent to us before we left for Cleveland Ohio for the funeral. Ford Knew about this problem published August 27, 2010 and neglected to warn my family of this. I had my van checked out the day before we left by a mechanic and gave us the all clear to go. I had absulutely no warning of the potential life threatening problem of Ford Windstar rear axle breaking. My axle broke in 2 on the interstate at 65 mph in heavy traffic. Ford is not going to send out recall notices until SEPTEMBER 27??? This is a life threatening situation and it can happend to anyone driving these vans with no warning. We had no warning. Next time it might be death to the next victim. Please warn your friends that drive a Ford Windstar. This situation is not alleged and it can happend and it is more serious than Ford is letting us know. They are saying nobody got hurt yet, Key Word YET!!! I am afraid for anyone that drives a Ford Windstar. God took the wheel this time. I will never drive that van again, even if fixed by the recall, there can be underlying issues not noticed by Ford after it is fixed since the axle broke on me at 65 mph on Interstate. Ford is cheap and negligent. Ford should have started warning people with the first incident. My family and I sat on the side of the busy interstate for an hour before help came. Traffic and semis passed us crossing over the white line of the shoulder. It was hot and we were afraid we would get hit by a vehicle. We were stranded for 6 hours before our ride came to pick us up. We were over 2 hours from home when this happened. We were on our way home from Ohio. This really makes me pissed off! It about killed me and my wife and 3 kids one night headed home from a football game , we were doing 70 mph when we all the sudden we started spinning and going off in to the ditch this S! @# makes me pissed off at FORD! I think this should be a recall!!!!! well it did total our Windstar out BTW the air bags did not go off so I'm thinking ford messed up on that too. Also the steering in our van was not good when we bought it. It was not doing well after about 4 months. We bought this piss of Sh! @# for $15000. It only had 60k miles on it when we did buy it , so if you have a Ford windstar GET RID OF IT before it really does kill someone!!!!!!!! Two days ago (on August 23), my wife and 8-year old son were going out. On the way to their destination, the rear axle broke on our 2001 Ford Windstar...it literally split near the left side. Thankfully, despite the incredible potential for harm, neither of them were hurt. I'm so grateful they didn't make it to the highway as planned. The car, however, is another story. It was a complete mess that cost me $1,100 to fix. My hope is that Ford wakes up to this growing problem and does right by its customers. It probably doesn't hurt that the government just launched an investigation. This is interested, too. My mechanic told me that Ford recently changed the rear axle to make it heavier/stronger. Makes me think they knew something was wrong. My husband and I were going to see my daughter in Rochester. We had just entered the interstate Hwy 90 traveling at about 65 mph when we merged into the passing lane to allow other cars onto the highway. There was a loud bang and the van began to swerve wildly from one lane to the other. It almost felt as if we had a flat tire but the van was more difficult to control. After we had swerved several times the back of the van "fell down" and was dragging on the pavement. Once my husband finally got control of the van he was able to pull over into the median and stop. He got out of the van and went to the back where he saw that the axle was broken. While he was checking our van another car that had been behind us stopped in front of the van. My husband asked if we had hit him when we were swerving, he stated that we hadn't but he saw that our axle had broken. We called a tow truck from a local repair shop. They were able to find a used axle and they had the repairs completed in just a few days. We were extremely lucky that no one was hurt in this incident, especially considering that we were traveling at 65 mph on an interstate highway. If any other cars had been close to us the accident probably would have been much worse. When I found this web site I looked back to find the date of the first complaint; I could not believe that it was dated November 2007! There is finally a recall on this but it took almost three years and many accidents. Most of the complaints that I read occurred at a slower speed than our accident but it really shouldn't take someone being killed before a recall occurs. 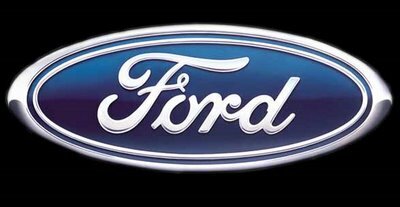 Update from Nov 18, 2010: We finally received the recall information from Ford; it stated that if the axle had already been broken and fixed you should still take your vehicle in to your local Ford dealership to have them check it. The letter also stated that you should take in your receipt for the repairs and they would review it for a possible refund. When I called our local dealer it didn't sound like they knew what to do but I scheduled an appointment and had my husband take in the receipt for the repair that had been done. They said the axle was ok but I have a feeling they didn't check it out very carefully. I did get a surprise this week though, Ford sent us a check for the entire amount of our repair bill. I'm still upset that it took them so long to start to take care of this problem when there is such a great possibility for someone to get hurt or killed because of this defect. I own a 2001 Ford Windstar and my rear axle broke at 20 miles per hour. Tires bowed in and car was not drivable. I think it is a shame that Ford has not recalled this problem. I have never towed a boat or anything on this vehicle and keep it in good running condition. This piece of crap car was never involved in any kind of accident. I have had problems with this car since I bought it brand new. First the side doors wouldn't open, fixed that, then they would close. My keypads don't work. If it is not one thing its another with this vehicle. I will NEVER buy another Ford again. For safety reasons I think that Ford should take a good look at this axle problem before someone gets killed. Its a shame that Ford will not live up to its reputation or maybe it does. Daily Yep that spells FORD. I see that I have joined the legions of Windstar owners that have encountered the problem of the rear axle splitting in two. I am very thankful that i was alone in the car when it happens and was able to bring to a safe stop. Minivans are family cars and I could have had 8 people in the car and with the additional weight , there might have been a different outcome. It is time for Ford Motor Company to bite the bullet and recall these cars and repair them. My local Ford dealer wants $775,00 to repair the vehicle and says he has the axle in stock. Why would any dealer have such an item in stock.....unless they are repairing these cars on a regular basis. Brakes, shocks, tires are things we have to replace on our own...but a rear axle, I don't think so and certainly a factory defective one. My rear axle broke by one of the welds. I had it replaced with a used one from a junk yard. That one lasted about six months and it broke in the same spot. this time i got a new one from the dealer. My mechanic said this was the third Windstar he saw with this proplem. The cost was about $1000.00 to fix. @ 1st I noticed a swaying it seemed @ higher rates of spped 55+, after complaining to my spouse he noticed upon inspection of my van, the driver's side rear tire was tilting inward @ the top.......We stopped driving it and took it to local garage....where they replaced it with a used axle from the same year windstar (2001) that had been in a front end crash @ low speeds but it popped the airbag and was totalled......with confidence I drove my van for less than 2 months.......when my Dad was driving behind me, he saw my driver's side rear tire bend in, ready to snap @ any moment.....I was also hearing a squeaking sound ( I thought it was my brakes...so that's what it sounds like).....So TWO damn rear axles latter......FORD NEEDS TO RECALL THIS MODEL NOW BEFORE A FAMILY DIES!!!!! Today is Sunday , so we have not got to call anyone about this, I just typed in , broken rear axel, and this site popped up. Makes me really mad to see that Ford has known about this problem and failed to even mentinon to people to have it checked on atleast. We have always taken it to the dealership for repairs and I can't believe no one noticed it. Really Ford who do you think id driving these vehicles? Families is the answer! While driving the 2001 Windstar the vehicle began to feel as if it was swaying side to side. Upon feeling this we stopped driving the vehicle at once. I thought it might be a suspension problem. Not so. After taking the vehicle to the shop we were informed that our axle was 3/4 cracked and needed a replacement. We found one used and had it installed. I can't imagine what would happen if this broke driving down the highway. We have 3 kids with us all the time and can't be driving around with problems like this. I think FORD needs to recall this vehicle and fix the problem. How does this get put into motion to have a recall started. We bought this windstar new and have babied it since the first mile. I had been noticing something going on with the van it felt like a flat tire at first or bumpy road ,then it started pulling to the side when you hit a bump. I was out with my husband and had almost lost all control of the back ,like driving on ice.I was lucky my husband was there and we didn't get on the highway yet. I was shocked to hear the axle was broken in half.How could this happen to a car that was treated so well .I think Ford should pay to fix this and have it recalled before someone gets hurt. I had planned to keep driving this for many miles to come,now I'm afraid to drive it and I'm afraid to buy another Ford. The only thing that I can say is that God is watching over all the owners of this Van, who experience the axle cracking in half. To me this seems like a problem that should be addressed to all the van owners, not just the ones who experience the problem, IMMEDIATELY!!!!! I experienced this issue tonight, when my son and I noticed a rubber burning smell. There were no other cars on the road, so i knew it was my van. I pulled into the local gas station, and noticed that both my rear tires were tilted in on the top. I looked below, and gasped. The axle was cracked in half!! I consider myself very lucky, because I took my kids and their friend to the beach today and was travelling highway speeds. This could have been a serious accident, that could have killed my family. NOW I'M PISSED!!! They must have known about this problem, since there are sooo many complaints on this site. We all need to contact the NHTSA - (1-888-327-4236) and COMPLAIN ABOUT THIS PROBLEM. This is your familys life at stake. This is obviously a manufacturers defect and needs to be addressed, similarly like the Toyota recall with the speed issue. DO NOT WAIT FOR SOMEONE ELSE TO CALL, YOU NEED TO DO IT TOO. Seems like everyone on this site is waiting for someone else to do something. THEN DO SOMETHING!!! email me @ PaulDonovan30@Comcast.net to get help with this. Unbelievable! Heard a funny noise a few weeks ago, kind of a creaking. Looked it over, thought maybe the E-brake had hung up or something. Only really made a noise when you turned. It quit after a couple of days. Oh well, its just getting old. Just came out of the grocery store and noticed my rear passenger tire was cambered in at the top. Got home and pulled out my jack to see what the problem was and noticed the drivers side was tilted too. Crawled under and saw rear axle broke in two!!! Googled "Ford Windstar rear axle" and this website came up. Cant believe this isn't a design flaw that Ford will fix. Ive been a Ford fan forever, but this might be it if they don't stand behind it. Obviously not an isolated incident! I was glad that the rear axle snapped in two while I was driving was slow. After finding this website, it's amazing to me how Ford engineers can keep their jobs designing crap like this. I worked in engineering for many years and if I designed this drivetrain I would have been fired. Thank God no one has been injured from this obvious defect that Ford is failing to recognize. I have a novel idea-why don't Ford be proactive and do something about this problem before something serious happens and they find they butts in court.